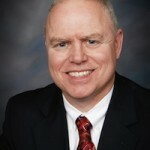 Jay Carter has spent the last 15 years in various management capacities with the best Fortune 100 company in the world. He has employed his coaching skills in various intrapreneurial endeavors and has been certified as a Microsoft Certified Professional in application development and Lean Six Sigma Coach. The sweet spot is always where technology and operations meet. Click here to visit Jay’s Website.